In 2017, Juleyka founded a production company, Lantigua Williams & Co., after 18+ years in media (NPR, The Atlantic, Random House). Its mission is to support and amplify the work of creators of color in digital audio and film. Within months of launching, Lantigua-Williams & Co. was awarded a grant from the MacArthur Foundation to create a podcast (“70 Million) to chronicle criminal justice reform from the ground up around the country. 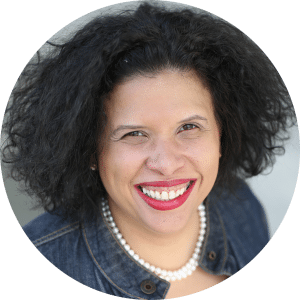 Juleyka’s work as a multimedia journalist reached tens millions of people and appeared in The Houston Chronicle,The Miami Herald, The Chicago Tribune, and the L.A. Times, among dozens of national and local papers, and publications like JET, The Progressive, and Nieman Reports. Juleyka earned a masters in print journalism from Boston University and an MFA in creative writing from Goddard College. A Fulbright Scholar (Spain) and John Jay/Tow 2016 Criminal Justice Reporting Fellow, she volunteers as the communications director for TEDxFulbright. Lantigua-Williams has made inclusion a central theme in her life’s work, while endeavoring to fully understand her own experiences as a hyphenated American.